Israeli bulldozers on Tuesday knocked down two Palestinian homes south of the West Bank city of al-Khalil. Palestinian activist Rateb al-Jabour told Quds Press that Israeli bulldozers demolished two residential facilities in Masafer Yatta and confiscated solar cells used to provide a number of Palestinian houses in the area with electricity. Al-Jabour said that the two homes, inhabited by the families of the Palestinian citizens Khalil Abu Aram and Ahmad Abu Aram, were demolished for allegedly being unlicensed. Masafer Yatta village and the surrounding areas have been long targeted by Israeli campaigns aimed at displacing the Palestinians living there in favor of settlement projects. The Israeli occupation authorities constantly crack down on Palestinian citizens living in Masafer Yatta by demolishing their tents and animal barracks, and seizing all donations to them whether by other Palestinians or the European Union countries. Israeli soldiers demolished, Tuesday, two residential rooms, and confiscated solar panels, in Masafer Yatta area, south of Hebron, in the southern part of the occupied West Bank. Rateb Jabour, the coordinator of the Popular Committee against the Annexation Wall and Colonies in southern Hebron, said the soldiers invaded the al-Halawa small village, in Masafer Yatta area, and demolished two residential rooms. Jabour added that the soldiers also removed and confiscated solar panels, which were donated by the European Union, to provide the villagers with electricity. The rooms, and the solar panels, were used by families of Ahmad Ismael Abu Arram and Khalil Younis Abu Arram. Jabour denounced the ongoing and escalating Israeli violations against the Palestinians, and the destruction of their homes and property, and added that Israel’s violations aim at forcing the Palestinians out of their lands to replace them with illegal colonies. A group of illegal Israeli colonialist settlers invaded, Monday, the village of Shoshahla in the al-Khader town, south of the West Bank city of Bethlehem, and photographed many homes, in addition to the local mosque. Ahmad Salah, the media coordinator of the Popular Committee against the Annexation Wall and Colonies in al-Khader, said that invasion was carried out by a group of illegal colonists, accompanied by the head of Neve Daniel colony, which was built on private Palestinian lands. Salah added that the settlers told the residents that they intend to pave a new bypass road, which links with the main Hebron-Jerusalem road, and extends to the mountaintop where Shoshahla is located. He added that the villagers in Shoshahla have been subject to repeated invasions and violation by the illegal colonialist settlers, who constantly try to confiscate its lands for the expansion of the colony. 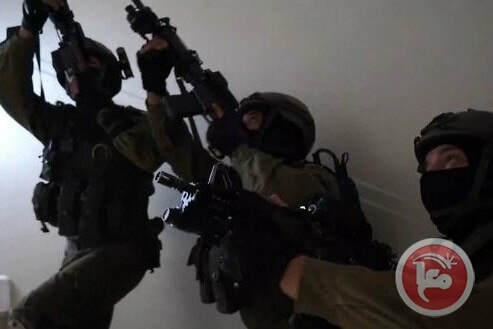 Israeli forces, along with Israeli army engineers, raided the Naawla family home, on Monday, in the Shweika village in northern occupied West Bank district of Tulkarem. 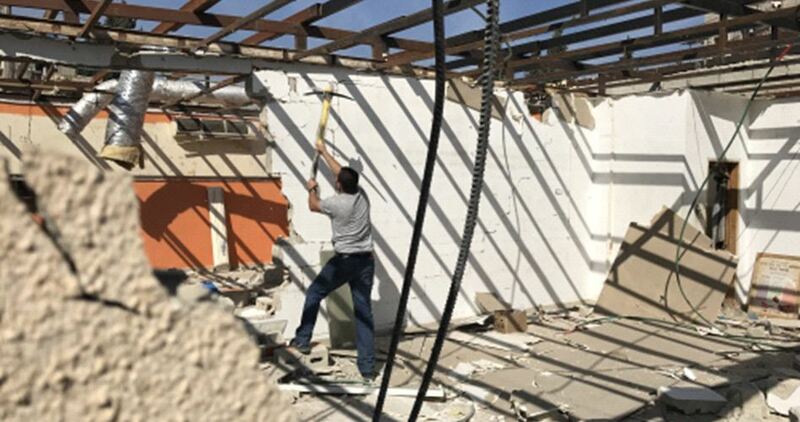 A Palestinian man from occupied Jerusalem was forced on Monday to tear down his own home after he received a demolition notification from the Israeli municipality. Ayman Kawasbe, the house’s owner, was threatened to pay high costs if it will be demolished by the municipality. Speaking to Quds Press, Kawasbe said he received demolition order for the house he built in Beit Hanina, north of the occupied city, under the pretext of building without permit. Kawasbe, a father of seven children, pointed out that his house was built more than ten years ago. Palestinians in occupied Jerusalem have long faced great difficulties contending with demolition orders issued against their homes that were built without permits as obtaining a building permit in the occupied city is almost impossible. 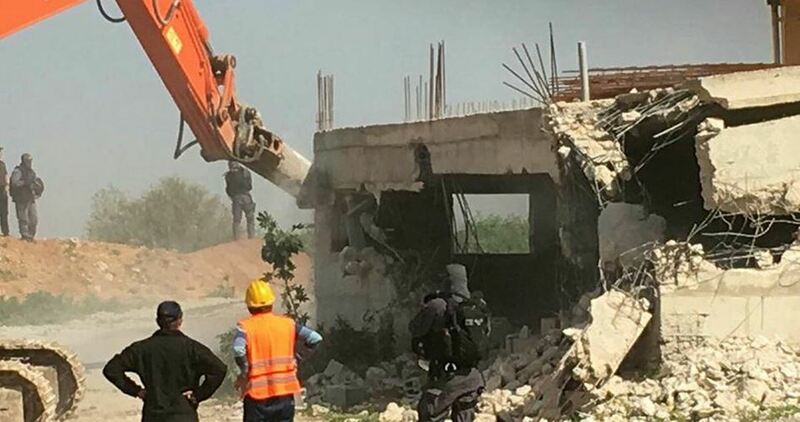 A Palestinian was forced to demolish his own home, on Monday, in the Beit Hanina neighborhood of occupied East Jerusalem, after receiving demolition threats from the Jerusalem municipality. Ayman Naim Kawasbeh told Ma’an News Agency that he removed furniture and other belongings, and proceeded to demolish the home in which he had lived, along with his wife and six children, for a decade. The youngest child is three years old, while the oldest is 17. Kawasbeh said that he received a demolition order from the Jerusalem municipality, warning that he will end up paying exorbitant fees that would amount up to 40,000 shekels ($11,035), if the municipality demolishes the house. Therefore, he decided to carry out the demolition on his own. The demolition order was delivered to Kawasbeh under the pretext that his house was built without the difficult-to-obtain Israeli permit. Kawasbeh mentioned that he had previously attempted to obtain an Israeli building permit and was able to delay the demolition. However, Israeli authorities did not grant him a permit and delivered a demolition order instead. Israel rarely grants Palestinians permits to build in East Jerusalem, though the Jerusalem municipality has claimed that, compared to the Jewish population, they receive a disproportionately low number of permit applications from Palestinian communities, which also see high approval ratings. Israel’s war minister Avigdor Lieberman sent a letter to eight European ambassadors in Israel slamming them for a joint statement signed by their countries in which they criticized the Israeli government’s plan to demolish a Palestinian Bedouin village. The ambassadors from Belgium, France, the Netherlands, Germany, Italy, Sweden, Poland and Britain reportedly received a letter from Lieberman last week calling their joint statement on the demolition of the Bedouin village Khan al-Ahmar “absurd”. “The statement invokes the absurd claim that relocating the residents to proper homes nearby will somehow preclude an eventual political resolution to the Israeli-Palestinian conflict,” the letter said. “The idea that moving a group of some 100 people within a five kilometer radius will prevent a resolution to such a complex historical conflict is hysterical nonsense,” Lieberman claimed. “Israel expects to be treated with the same measure of dignity and respect for its judicial institutions and internal affairs as each of your governments rightly expects for its own. 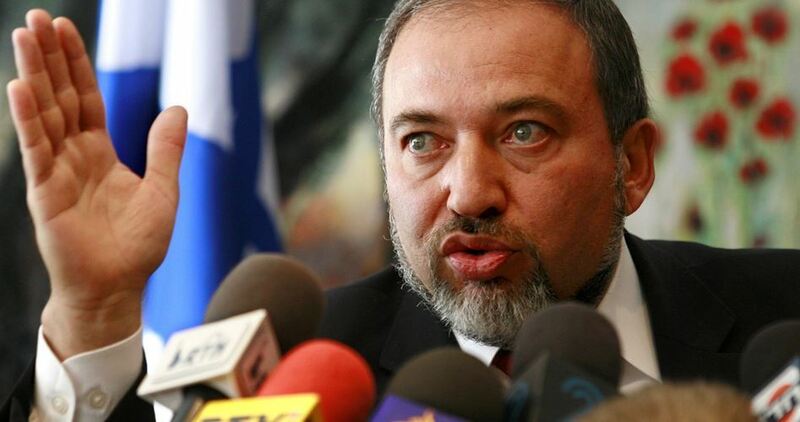 We regard anything less as an expression of injustice and discrimination, unworthy of our friendly bilateral relations and of accepted norms governing the conduct of ties between sovereign nations,” Lieberman’s letter concluded. In May, after nearly nine years of legal battles, Israel’s High Court approved the government’s plan to raze Khan al-Ahmar. This ruling was frozen in July. The court said last month that the village would ultimately have to be demolished. Residents rejected offers from the Israeli occupation to be forcibly deported elsewhere. Following the decision to demolish the village, the European Union stated that it expects Israeli authorities to reconsider the decision in light of international law and a future solution to the Israeli-Palestinian conflict. Israel’s settlement policy, which the EU and international law consider illegal has long been the subject of global criticism, as Palestinians have seen the prospects of a contiguous future Palestinian state diminish with the gradual expansion of Jewish-only settlement in the last several decades. UN envoy Nickolay Mladenov echoed the EU’s statement, saying:"Demolitions undermine prospect for two state solution and are against international law." The demolition of the village is due to happen any day now since the deadline for the residents to evacuate has passed. 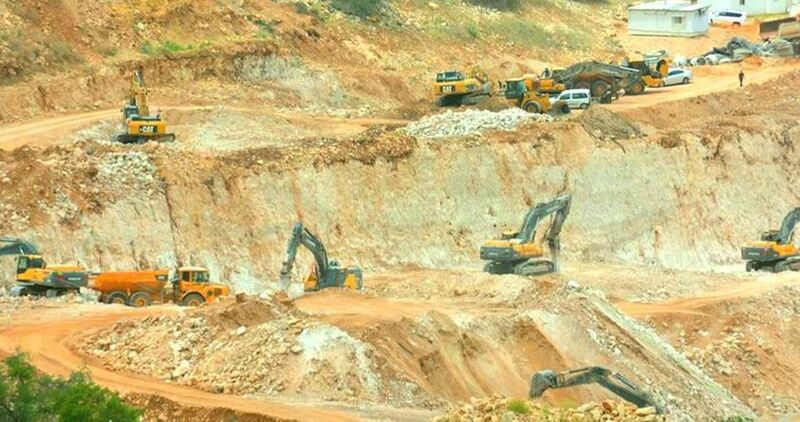 Construction and bulldozing activities are proceeding apace on a vast tract of Palestinian land east of Deir Ballut town, west of Salfit, to expand the illegal settlement of Leshem. Abdullah Idris, a local resident, said that the Israeli occupation authority (IOA) had annexed a large part of his land on the eastern side and embarked on bulldozing it despite his possession of documents proving his ownership of that land. The municipality of Deir Ballut, for its part, said on its website that the structural plan to expand the town was halted on the eastern side after the IOA annexed it for the expansion of Leshem. Israeli settlers, escorted by soldiers and policemen, grabbed on Thursday a historic building in Jerusalem’s Old City. The building, owned by the Palestinian Joudeh family, is located near holy al-Aqsa Mosque and was recently used as a clinic. 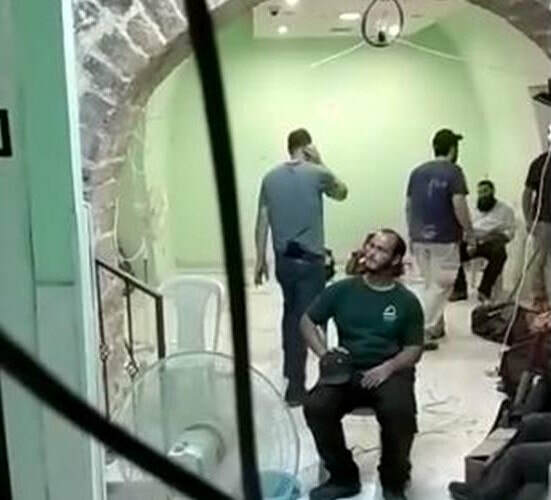 Israeli settlers also took over on Wednesday two buildings covering 120 square meters each and a land lot of over one dunum in Wadi Hilweh neighborhood, in Silwan. 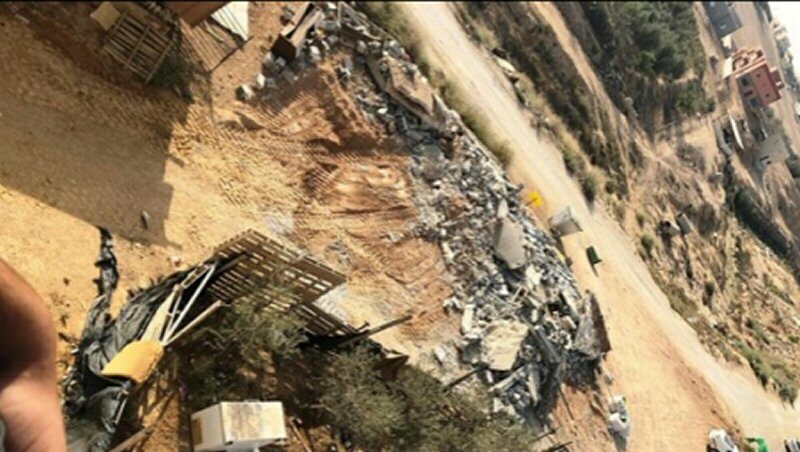 Israeli authorities demolished a Palestinian home, on Thursday, in the Kuseifeh village of Israel’s Negev desert, under the pretext of being built without the difficult-to-obtain Israeli permit. Local sources told Ma’an News Agency that Israeli crews stormed the village and demolished the structure, leaving a Palestinian family of ten displaced, without a home. Sources confirmed that a Palestinian mother, along with her nine children, lived in the home. The Israeli government had approved plans, in 2011, to transfer tens of thousands of Bedouins in unrecognized villages into officially recognized settlements. 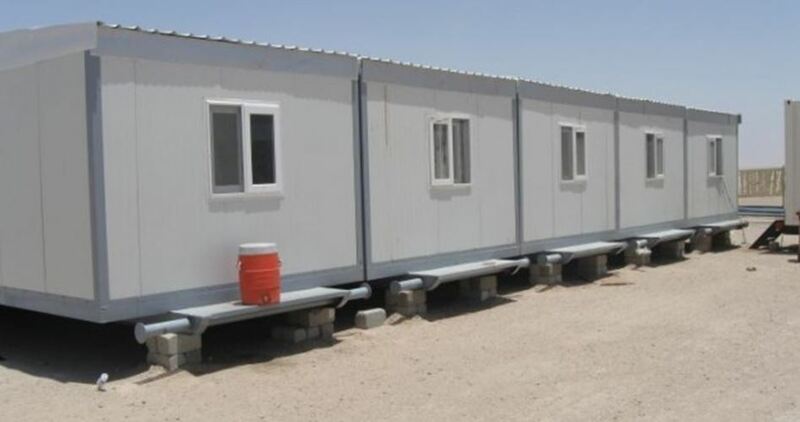 Israeli troops aboard military vehicles stormed Wednesday Masafer Yatta area, south of al-Khalil, and prevented local families from setting up prefabricated homes on their own lands to live in them. 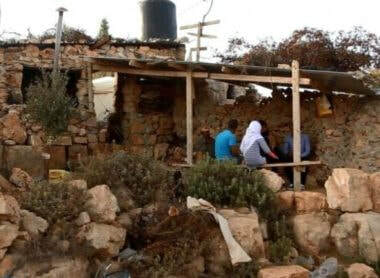 Local sources told the Palestinian Information Center (PIC) that a crew of employees from the Israeli army’s civil administration escorted by soldiers stormed al-Mafqara village, east of Yatta, and confiscated foundations that the residents intended to deploy before placing the mobile homes on them. A local resident said that Israeli border soldiers seized, for the second consecutive time during the current week, caravan bases he prepared for his mobile home, and threatened to confiscate any structural preparations he makes again on the site. “They have confiscated in our village more than six bases used for the caravans that we intend to live in because we are forbidden to build homes or live in caves, and now the caravans are also not allowed. All this is aimed at forcing us to leave our land, but we will be sleeping in the open and we are not leaving our land,” he affirmed.